From the end of May, the cruise of Jikkoku-bune Boat start at Fushimi in Kyoto. 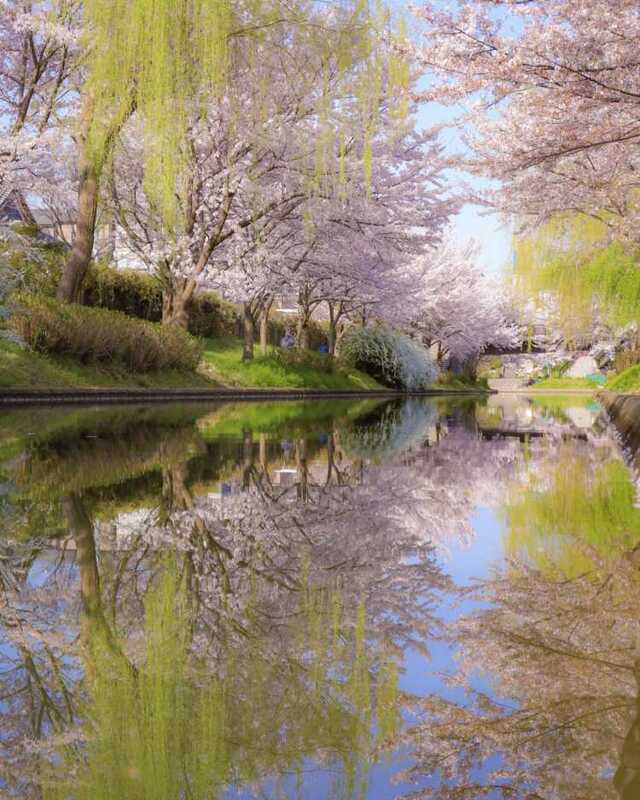 You can enjoy the seasonal scenery such as cherry blossoms and willow trees, and the tasteful townscape of Fushimi. 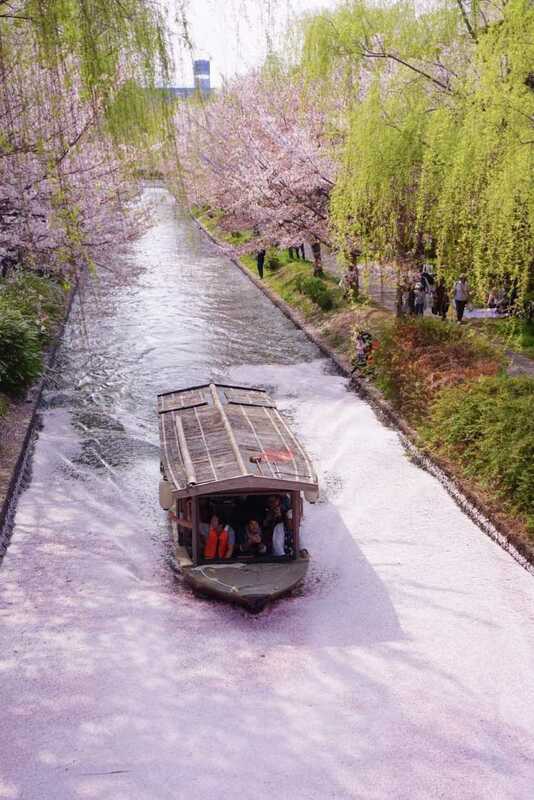 Jikkoku-bune boat of Kyoto Fushimi commands the particularly beautiful scene of cherry blossom in spring. What's more, the scenery of the boat going between the cherry blossom raft which appears when they're out of bloom on the water surface, is amazing! People can enjoy this scenery for a while even after the cherry blossoms fall.